Purpose: The issue resource over-allocating is a big concern for project engineers in the process of scheduling project activities. Resource over-allocating drawback is frequently seen after scheduling of a project in practice which causes a schedule to be useless. Modifying an over-allocated schedule is very complicated and needs a lot of efforts and time. 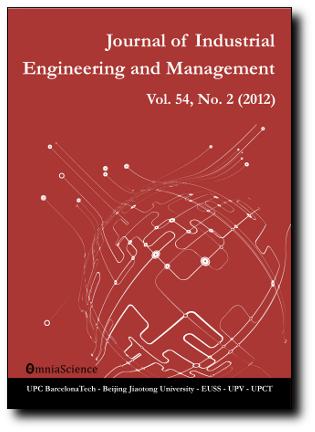 In this paper, a new and fast tracking method is proposed to schedule large scale projects which can help project engineers to schedule the project rapidly and with more confidence. Design/methodology/approach: In this article, a forward approach for maximizing net present value (NPV) in multi-mode resource constrained project scheduling problem while assuming discounted positive cash flows (MRCPSP-DCF) is proposed. The progress payment method is used and all resources are considered as pre-emptible. The proposed approach maximizes NPV using unscheduled resources through resource calendar in forward mode. For this purpose, a Genetic Algorithm is applied to solve. Findings: The findings show that the proposed method is an effective way to maximize NPV in MRCPSP-DCF problems while activity splitting is allowed. The proposed algorithm is very fast and can schedule experimental cases with 1000 variables and 100 resources in few seconds. The results are then compared with branch and bound method and simulated annealing algorithm and it is found the proposed genetic algorithm can provide results with better quality. Then algorithm is then applied for scheduling a hospital in practice. Originality/value: The method can be used alone or as a macro in Microsoft Office Project® Software to schedule MRCPSP-DCF problems or to modify resource over-allocated activities after scheduling a project. This can help project engineers to schedule project activities rapidly with more accuracy in practice.